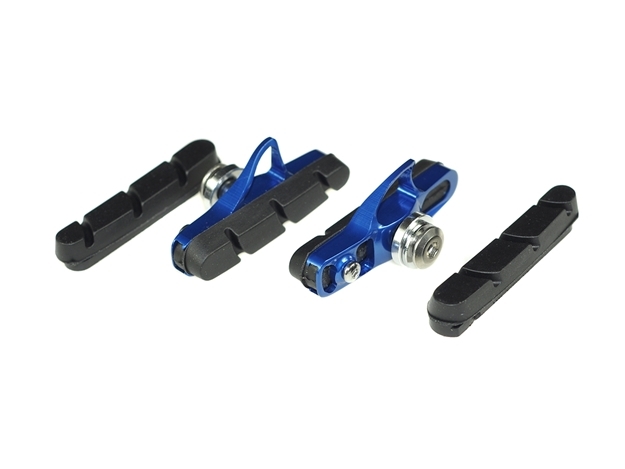 To compliment our calipers and levers we have lightweight, CNC aluminium brake shoes in a range of colours to pimp your ride. These are beautifully packaged and displayed making them an easy sell to anyone adding a splash of colour and elegance to their build. Every pair of brake shoes come with a spare pair of high-performance road inserts making it a long lasting and safe buy.